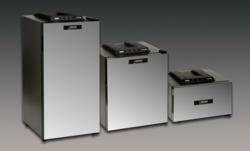 After years of manufacturing the popular 25 liter Incufridge, Revolutionary Science expands to a line of six Incufridge models. These incubator/refrigerators are wonderful for almost all microbiology biotechnology applications. the temperature of the chamber is never compromised when the opaque door is opened for viewing. Imagine viewing your incubated samples without having to open the insulated door. Only a few seconds of cold air can compromise your experiments. Revolutionary Science has developed a solution to this long standing problem in their latest line of chilling incubators, called the Incufridge. Modeled after the popular Incufridge, RS-IF-203, each one of these models will include digital displays and solid state Peltier technology. What makes this new line of refrigerated incubators unique are the doors. Most Incubators have an opaque, insulated exterior door (for light sensitive materials), with a thin, interior clear door (for occasional viewing). To view your specimens, you can open this opaque exterior door and peek through an interior door. This old fashioned design is problematic. The thin, clear interior door on nearly all incubators are extremely inefficient. In fact, if this door is left open for too long, samples can be destroyed, costing hundreds or thousands of dollars in samples and time. The new Incufridge Standard line is equipped with a very unique, yet practical door. The inside door well insulated with triple paned glass. The exterior door is uninsulated and opaque for light sensitive samples. This way, the temperature of the chamber is never compromised when the opaque door is opened for viewing. In fact, you can leave the opaque door open all day long and the interior temperature will not be affected! The Incufridge can heat as well as cool, by maintaining a set point temperature anywhere between 5 to 65 degrees C. The "basic" line (like the original IF-203) will have a glass door and will be available in three sizes. The "standard" line, also available in three sizes will include a data logger and the most advanced and user friendly door that is currently available on the market. Another great feature of this product line is the way the peltier is controlled. The product can be set right at ambient and maintain a temperature of 21C or 22C (72 or 73 Fahrenheit). 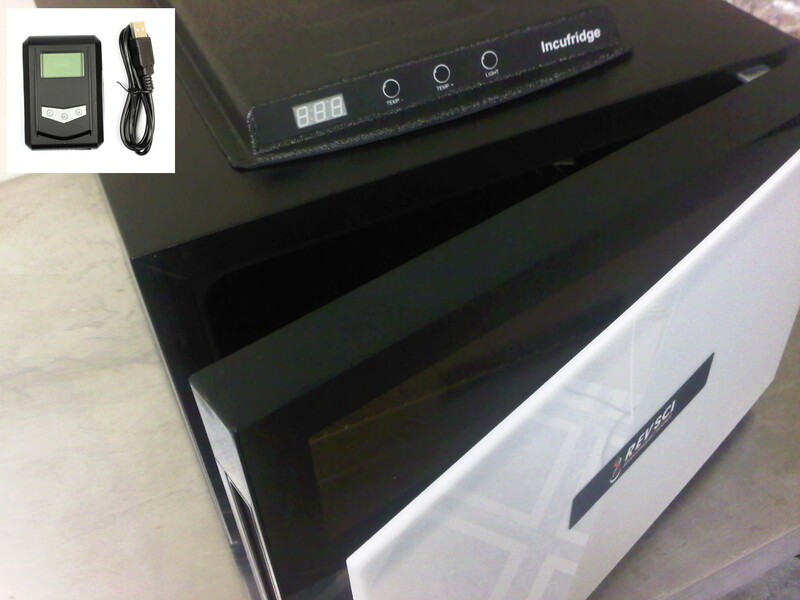 In fact, the new Incufridge standard models will include a digital display, touch button calibration and an independent digital data logger (USB) for improved temperature control and monitoring. "We are proud of this design and hope that other incubator manufacturers will follow suit." states Isaac Erickson of Revolutionary Science, "It is slightly more expensive to develop them this way, but we are doing our best to keep our prices lower than the competition." The new line of Incufridges are currently in production and are available for purchase from Revolutionary Science, VWR or Thermo Fisher Scientific.